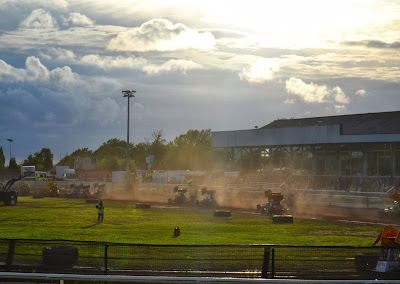 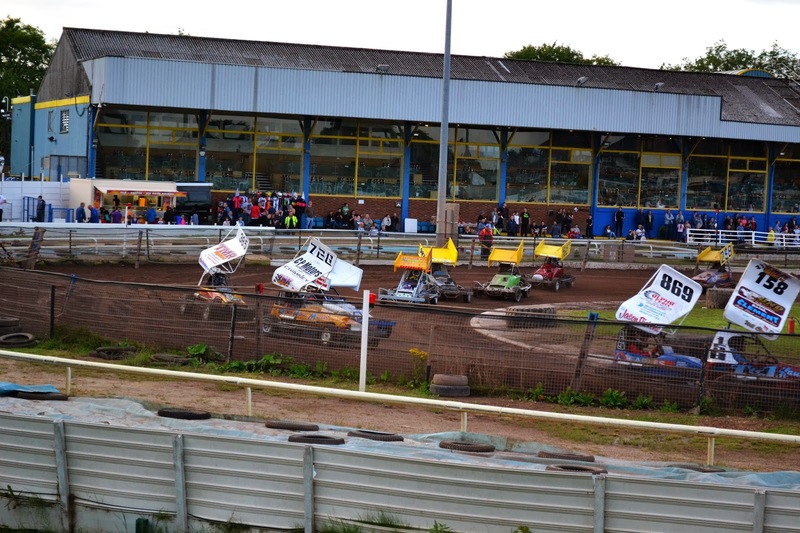 I’ve been to watch racing a number of times, usually British Touring Car, but until this August I had never been to see anything more grassroots, to be honest I had no excuse as Belle Vue speedway is only about 7 miles from my house in Manchester. 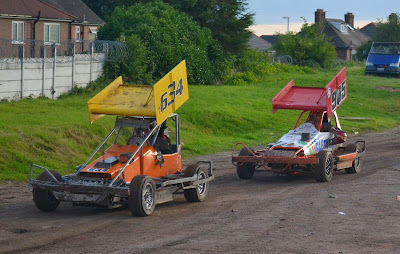 So on a sunny and warm summers evening I headed over for my first night of stock car racing and I was excited to see what it was all about. 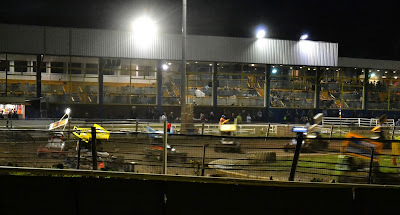 I’d been to Belle Vue before to watch dog racing so I know there was good food and drink and a huge stand to watch the racing from, what I wasn’t expecting I suppose, was how popular it was. On arrival I parked up and as soon as I got out of the car you could hear the “hotrod” cars hooning around the track. 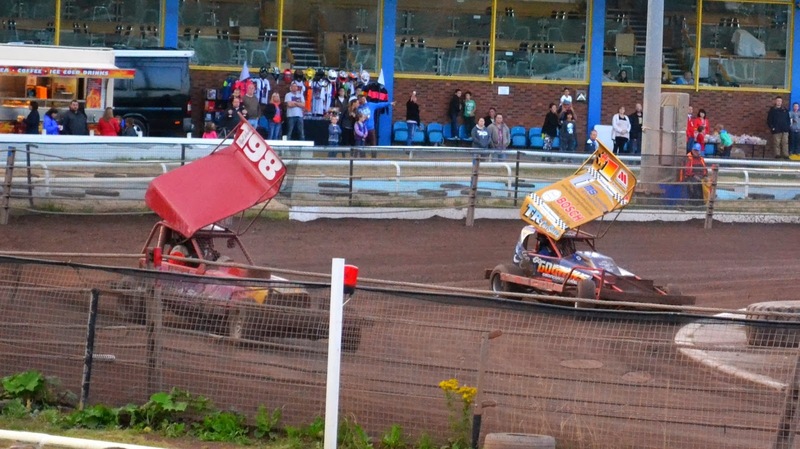 Money paid it was time to take it all in from the out door stand. and Formula Two’s Stock car racing. 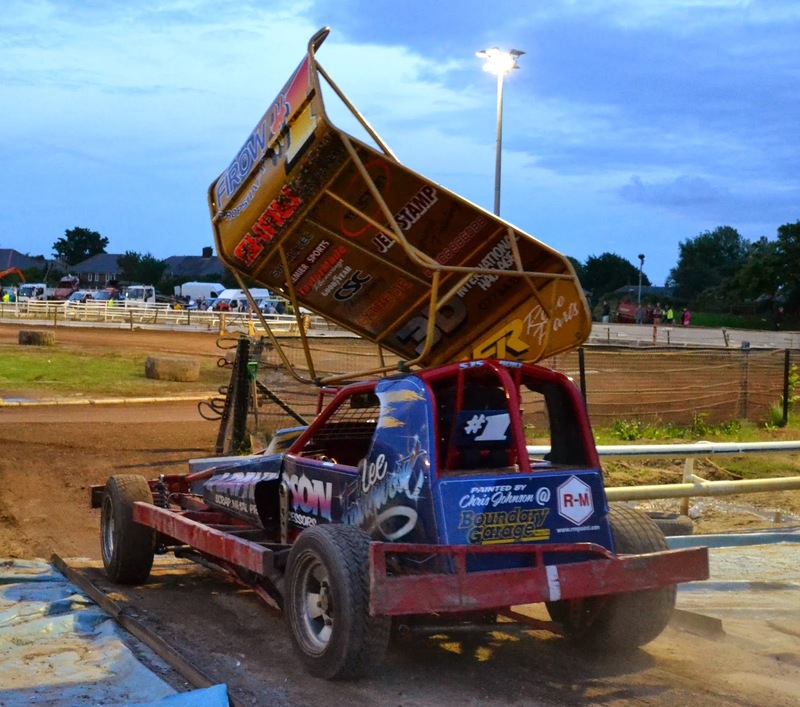 Add to that the demonstration from the current Formula 1 World Champion in his winning car. The action was constant with little time between races to sit back and relax. 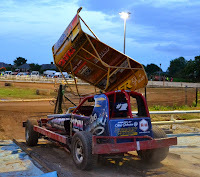 The best part for me was the opportunity to see the teams working on the damaged cars between races in the paddock area as it was fully open to the public to walk though. 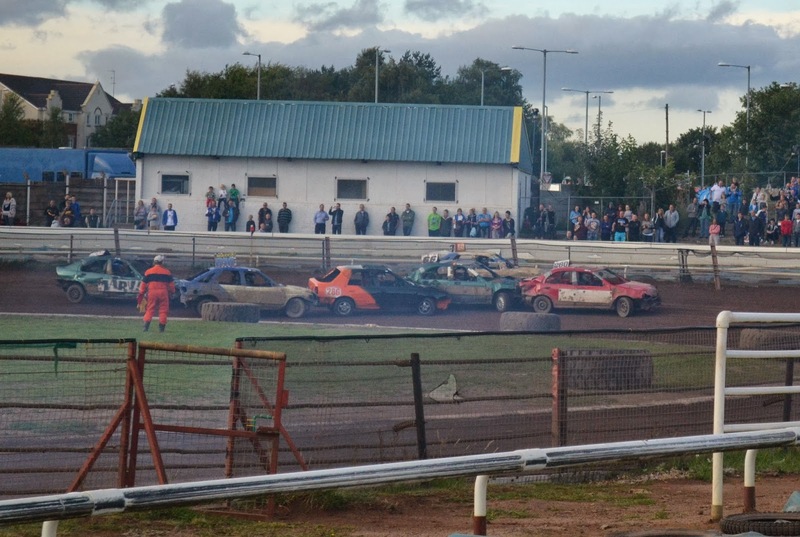 Seeing the fury and action to get mangled and twisted cars back out on the track was mesmerising which only got more furious as the races and damage to the cars went up and night descended. 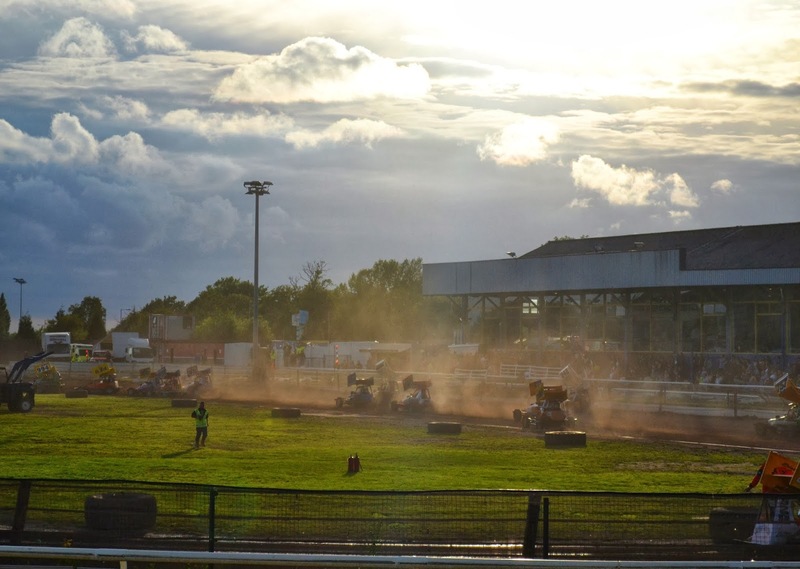 As the sun fell and night took hold the whole place seemed to get a more dramatic feeling with the floodlights illuminating the dust that the cars would throw in to the air. 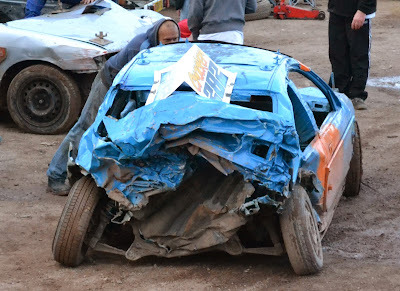 The bangers racers also started wearing their damage with more pride, one in particular was quiet literally dragging round its arse for the last race but to its credit did finish. 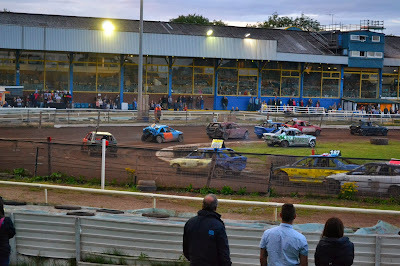 An awesome night out with loads of action both on and off the track to I’ll definitely be back for more.